At On Point Custom Homes, we truly believe in exploring new ideas and staying ahead of the curve when it comes to architectural design, product integration, and building science. 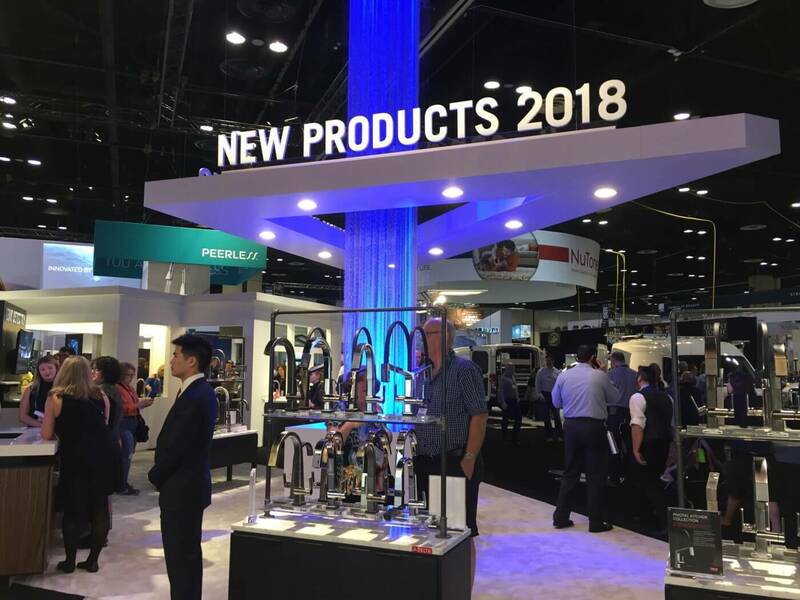 We make it a point to attend a variety of industry shows across the county throughout the year in order to keep our team apart of conversations in the building space and in front of the latest and greatest products. 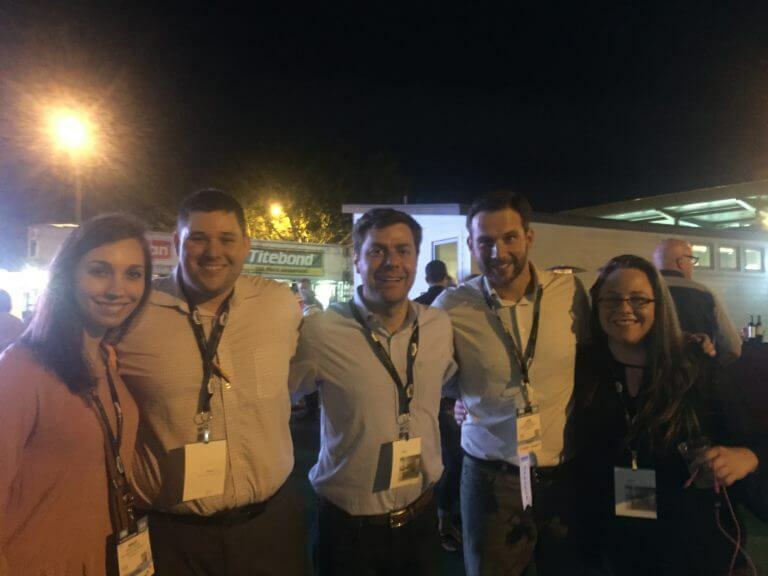 Most recently our CEO, President, Selections Coordinator, Purchasing Manager and Marketing Director took a trip to Orlando to attend the National Association of Home Builders International Builder Show as well as the Kitchen and Bath Show. 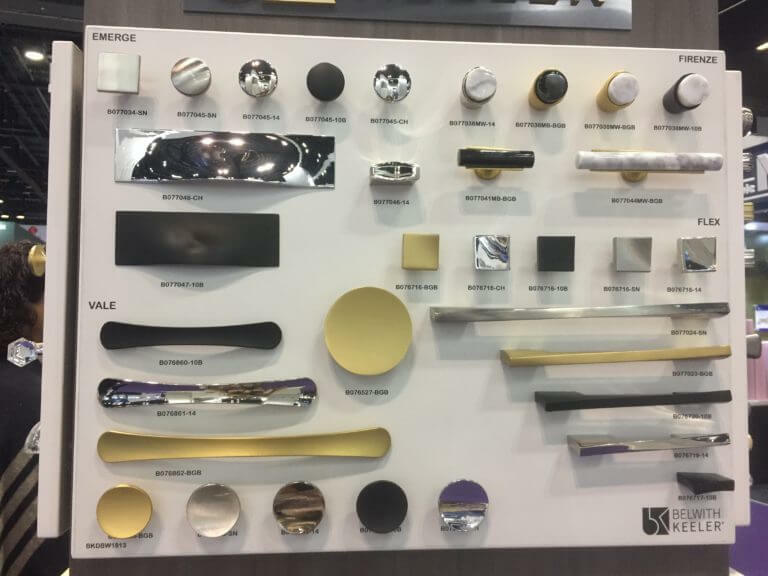 During our week-long trip, the team attended a variety of education panels, spoke with a variety of product reps and explored new design trends to see where the industry is headed in 2018 and beyond. One of the largest conversations and running themes during the conference was the idea of going back to old times. Today’s homeowners are looking for a home that provides the ultimate user experience in a welcoming and warm space. That means hiding the technology, reintroducing warmer tones alongside your whites and grays, and making your spaces more multipurpose. When it comes to paints and finishes, gray is here to stay; however, more tans and beiges are being incorporated into the home. Additionally, softer more honed finishes, as well as wood accents, are being used more frequently to bring the ambiance to the outside indoors. Expect to see more concrete or matte countertops in lieu of high gloss options. Mixing metals are also still on trend with gold and champagne finishes being installed with silver, bronze, and black hardware or lighting. 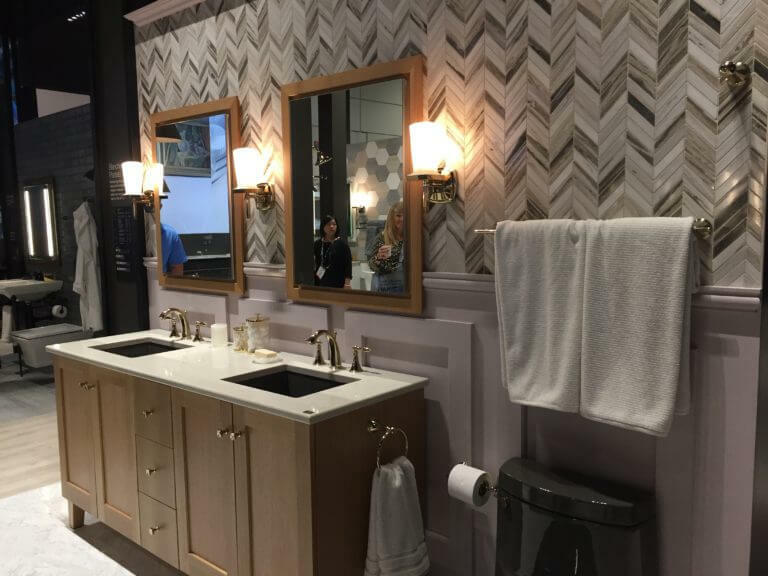 One of our favorite trends from the show is the idea of hiding messy areas in order to create a clean and relaxing space. For example, people are opting to hide all their technology instead of showcasing it like they used to. Hidden speakers, tech cubbies and dedicated drawers for charging stations and hidden outlets are becoming the norm. Lots of people are opting for paneling their appliances, so their dishwashers, fridges, and ice-makers blend in with the traditional cabinetry. Additionally, the “messy kitchen” or luxury pantry is being worked into floorplans as dedicated space for small appliances such as microwaves, coffee bars, and even dishwashers. This expanded pantry space allows for a dedicated messy prep area as well as extra storage, so your main kitchen area remains clean and sleek. Stay tuned for more insight on some of our favorite trends and products!